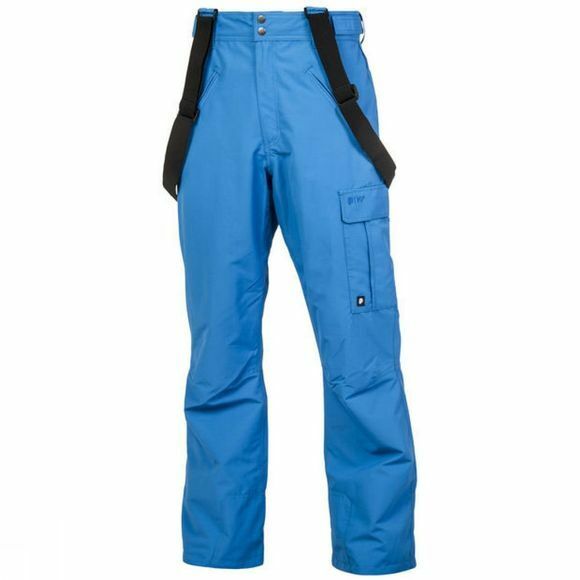 The Mens Denysy snowpants are an exciting combonation of style and technical wear. They’re sturdy and secure with a regular fit, created to meet the demands of big mountain snowboard or ski riders. It's able to withstand 10,000mm of water pressure and has critically taped seams, safeguarding a waterproof finish. A breathability factor of 10kgrs, prevents sweat and moisture staying near the skin, and therefore maintains warmth. Features include removable shoulder straps and an adjustable waistband with Velcro closure. Pockets allow you to bring your essentials, while ergonomic pre-shaping provides a reliable fit. Wear the Protest Denysy snowpants and feel confident and protected in even the most extreme weather conditions.